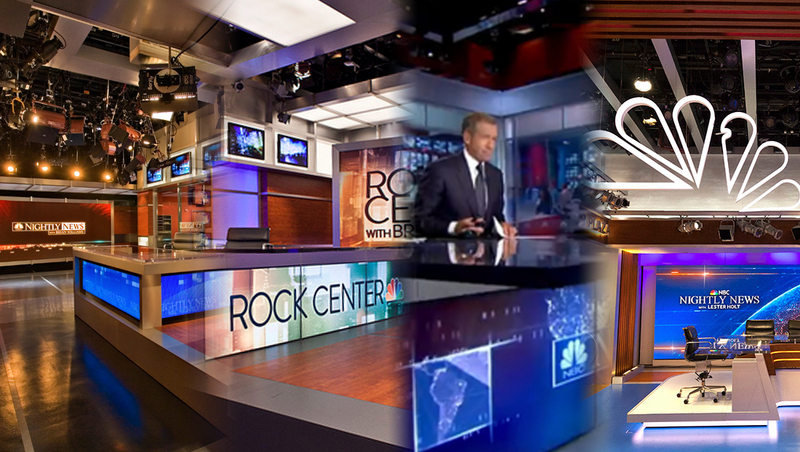 The set was designed as a sort of shared space, with one side dedicated to “Nightly” with a more traditional anchor desk, while “Rock Center” used to the opposite end in a setup that originally included a soft-style area and smaller, cube-style desk. On the “Nightly” side, the basic footprint of the set and design motifs were kept similar. Since Studio 3B doesn’t connect to the the 3A newsroom, the “window” look was recreated using a video wall that could display a loop that mimicked the old newsroom view. The new set also included a larger rear projection screen and similar shaped anchor desk with upgraded LED panels. 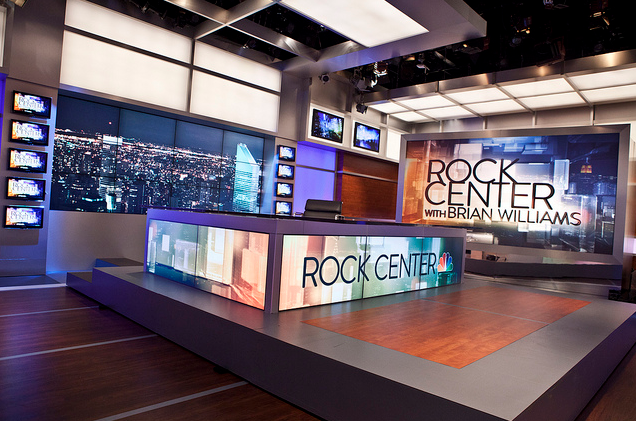 In 2014, “Nightly” moved relocated its anchor desk to the “Rock Center” area, with the anchor desk occupying the approximately footprint of the sofa area. The new layout also eliminated that scenic stairway in favor of a video wall — and NBC also opted to remove the decorative “lanterns” in the grid and decorative knickknacks around the space. 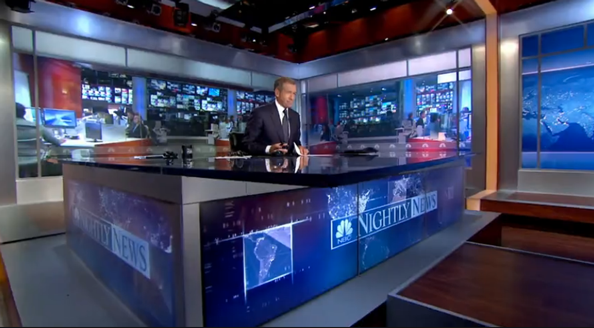 The new look gave “Nightly” the ability to take better advantage of the large spans of rear projection screens to show newsroom video loops and graphics. After Holt took over, the cube anchor desk previously found in the “Rock Center” area was repurposed as a sort of standup-pod of Holt to introduce segments.